We all know that kids love sharks. They see the magic of these awe-inspiring animals. But we also know some kids that have taken their love for sharks, and turned into action for them. Kids may see awe in sharks. 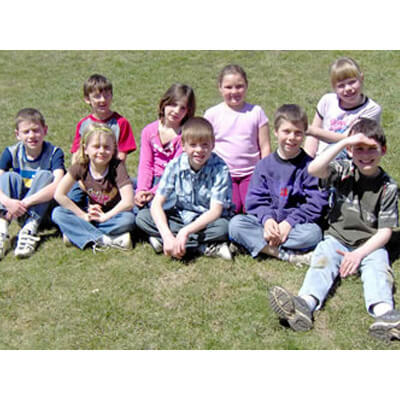 We see awe in these kids working for sharks. 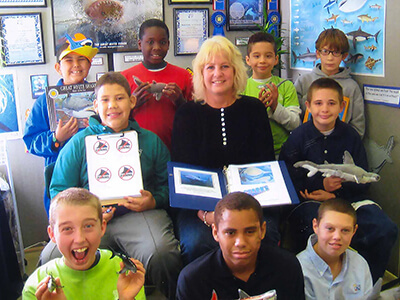 Contact us with your stories of kids making a difference for sharks. We’d love to share their story to inspire others. My name is Jack. I am 9 years old and live in (a suburb of Chicago). I have been working on a passion project about sharks in my classroom. While researching, I found out that people cut off shark fins and throw the sharks back in the water where they die or are eaten by other animals. I think this is horrible. I want to help the sharks because I want them all to survive. I asked my Mommy if we could raise money for the sharks. I had lots of ideas, like performing magic tricks for donations. In the end I decided to draw my very best sharks so that my mom could make them into magnets. I sold so many of my magnets and am excited to send you this donation. I hope my donation will have save many sharks. I have included some of the magnets I made for you. Stay jaw-some Shark Research Institute. Thanks for helping my favorite animal! This extraordinary letter was accompanied by a check for $650. Truly amazing. “Hi! My name is Brody. I just turned 11 years old. Sharks have been my favorite creature for the longest time. I was writing an article at school about sharks and my research taught me more about sharks and how close they are to extinction because of shark finning, which made me want to do something about it. I showed my mom a website called Sharks.org for Shark Research Institute and asked her if I could donate or adopt a shark. She offered to raise money on her Facebook page for my 11th birthday to help and I raised $250, including $40 of my own birthday money. Seven-year-old Samaira lives in Gurugram, India. She is a “mini-encyclopedia” about sharks, says her mother. She is passionate about sharks and has created a diorama of a coral reef, the deep sea, a pretend aquarium, shark and megalodon puppets, and written a book on sharks. As you may see in the photos, she loves sharks. Samaira and her mother have been giving out Let Sharks Live and Year of the Shark flyers at their local mall to educate people about the necessity of protecting sharks. “When sharks are finned I feel very bad. It’s a bad a very bad thing,” she says. Samaira says that when she grows up she will form a team to protect sharks. 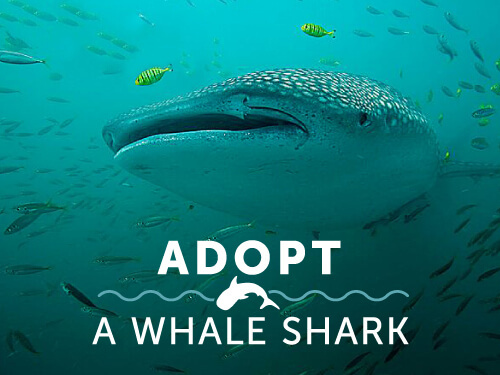 Adopt a whale shark in his or her name. $150 Lifetime Adoptions come with a certificate suitable for framing. One afternoon fifth grader Caleb was reading a book about sharks with Ms. Sarah, a site coordinator with Communities In Schools of North West North Carolina. The book talked about endangered sharks and the ways you could help them. 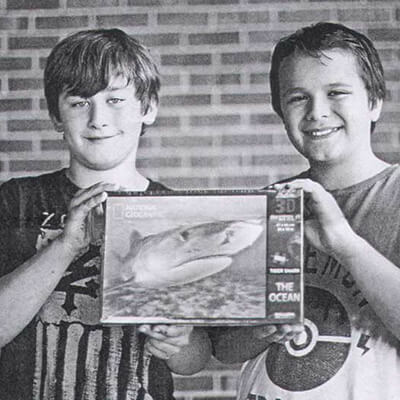 “Next day I brought a box to collect money to help the sharks. Next, my friend Matthew came on board and he brought a box. With permission, we went on our school’s morning news and visited classrooms talking about Shark Conservation, and hung posters. Every student who brought one dollar would be entered to win a National Geographic 3 D-Shark puzzle. 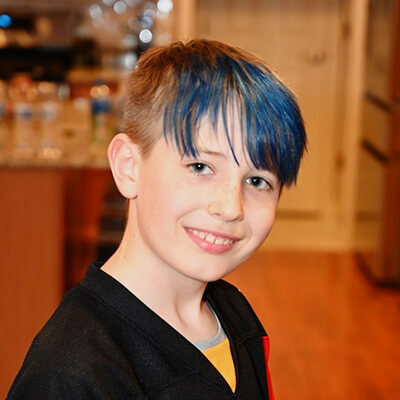 SRI member Nate, a 7th grader, facilitated a fundraiser at his school, raising $431 for SRI. He then asked his school advisor and principal for permission to do the same thing again, and they agreed. The school has a uniform dress code, and each student who donated $1 to the Nate’s Shark Awareness Fundraiser was allowed to have an “out-of-dress-code day.” Nate’s second fundraiser raised more than more than an additional $100 for SRI’s research and conservation programs. 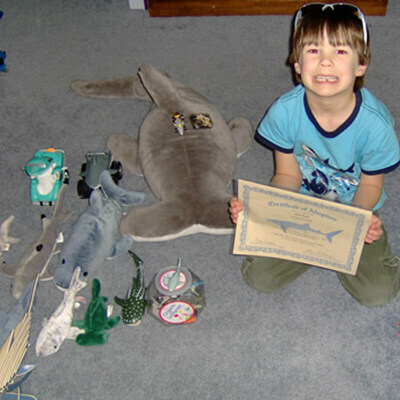 Zachary just turned eight and decided that he didn’t need any gifts but the sharks of the world (especially great white sharks) need some help. He asked his friends not to give him a gift at his party and instead pool their resources to help the sharks. They did, and Zachary donated $153 to SRI’s conservation program. William is 6 years old and won first place, the gold medal at his school’s Science Fair held on February 21. He presented his project in front of 4 judges and each one was very impressed. When asked by one of the judges if the Great White eats humans, he answered: “Scientists think that the Great White Sharks don’t like the taste of humans because they usually take one bite and then swim away”! 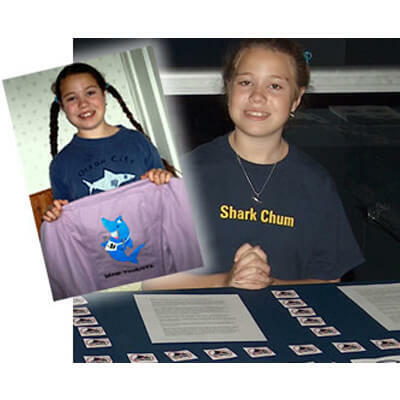 This 13-year-old publishes a magazine about sharks for kids! Tori, told visitors about the plight of sharks at Adventure Aquariums and Beneath the Sea, and hundreds of visitors signed Stop Finning cards. Tori is shown here with one of the jackets she sells to raise funds for SRI’s shark conservation program. So, thank you for what you do! You have inspired my son and I am blessed to see his passion. Second & Fifth graders held a “Shark Fundraiser,” adopted 9 whale sharks, and collected more than 100 signed Stop Finning cards. Kevin and Dana and their friends, Jake, Tommy and Bobby, worked on the fundraiser. 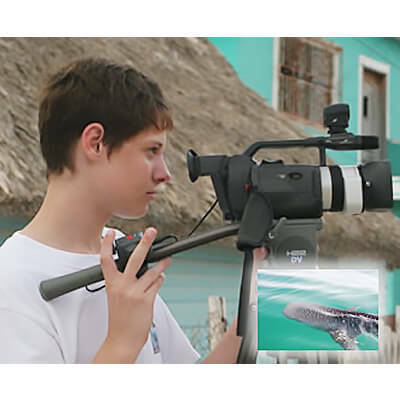 A 16-year-old underwater videographer, Michael joined an SRI expedition to LaPaz and produced a film about whale sharks. A 17-year-old underwater filmmaker and diver, produced a documentary film highlighting the role of sharks in the marine ecosystem and exposing the cruelty of shark finning. Second-grade students hosted a bake sale, made posters, collected hundreds of Stop Finning cards, adopted two whale sharks and donated the proceeds of their bake sale to SRI’s shark conservation program.